UK singer/songwriter Shura just released an '80s inspired track ahead of her July 8th release of her debut LP Nothing's Real. "What's It Gonna Be" is a pop / dance track that is a flashback of the feathered hair, leg warmer-wearing 80's carefree years reminicent of Olivia Newton-John and Toni Basil but is made fresh with and modern and uplifting syths beats. The song is part of her debut album that also includes her breakout hit single "Touch" (over 30 million plays to date), "The Space Tapes," "Indecision" and "2Shy." 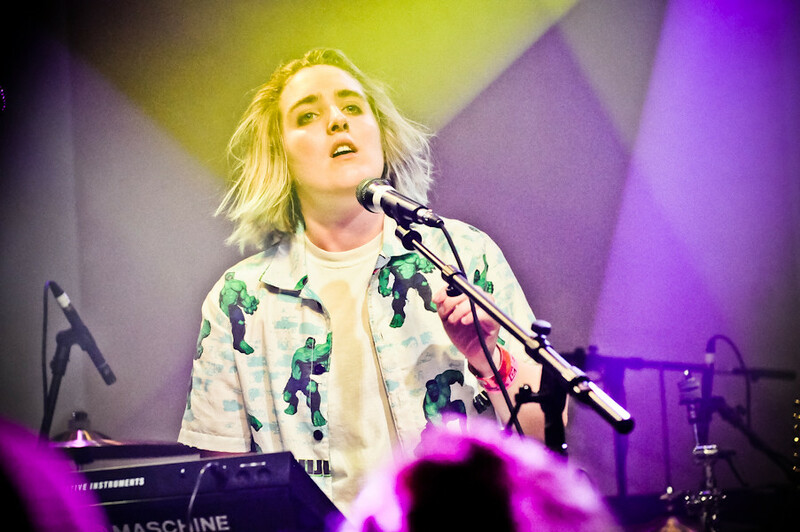 Making the exclusive BBC Sound 2015 list, Shura is the complete package as producer, singer, remixer and editor. In 2014, Shura's video "Touch" became a viral hit which featured her friends kissing on camera and has since gained over 10 million views on YouTube. Since the 23 year-old Shura (aka: Aleksandra Denton) came on to the music scene, her songs have been covered and/or remixed by artists such as Mumford and Sons, Warpaint and Talib Kweli. Check out "What's It Gonna Be" below.